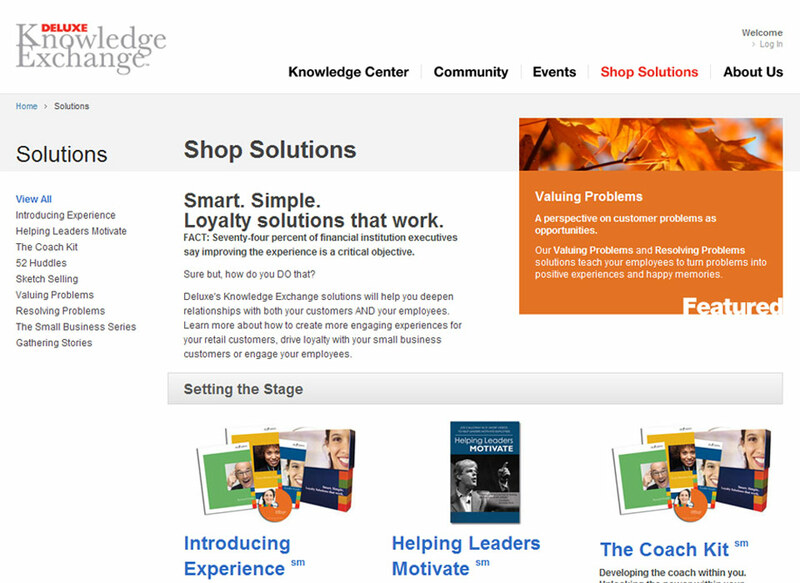 Deluxe Corporation is a growth engine for small businesses and financial institutions. 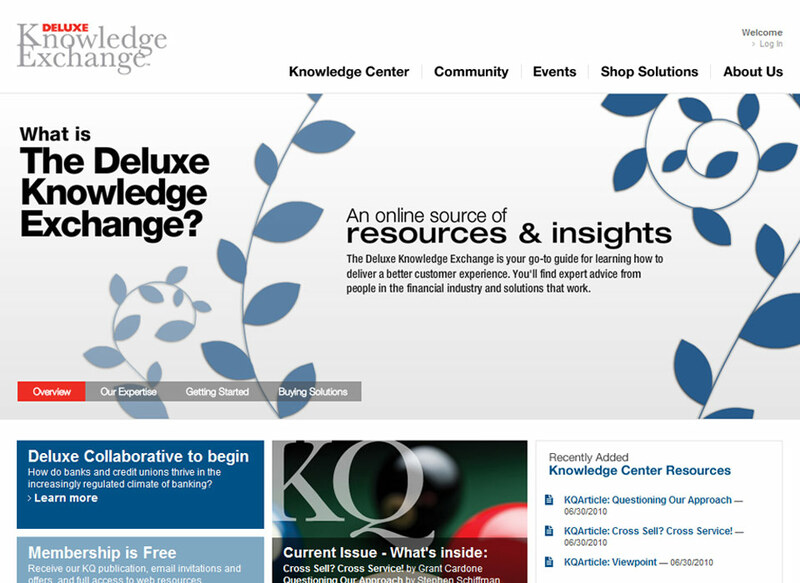 Deluxe engaged us to redesign the Deluxe Knowledge Exchange website. 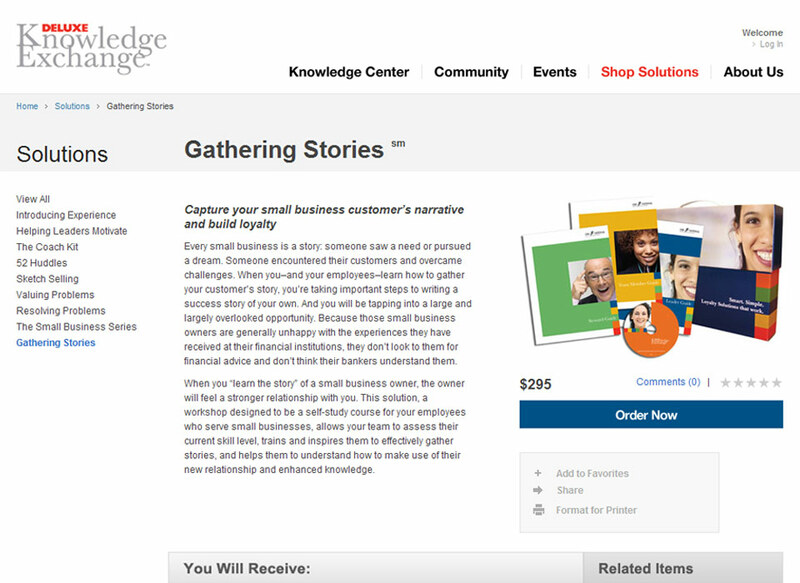 The site serves as a community-building tool and information exchange resource for financial institutions actively engaged in improving customer and employee experience and loyalty. 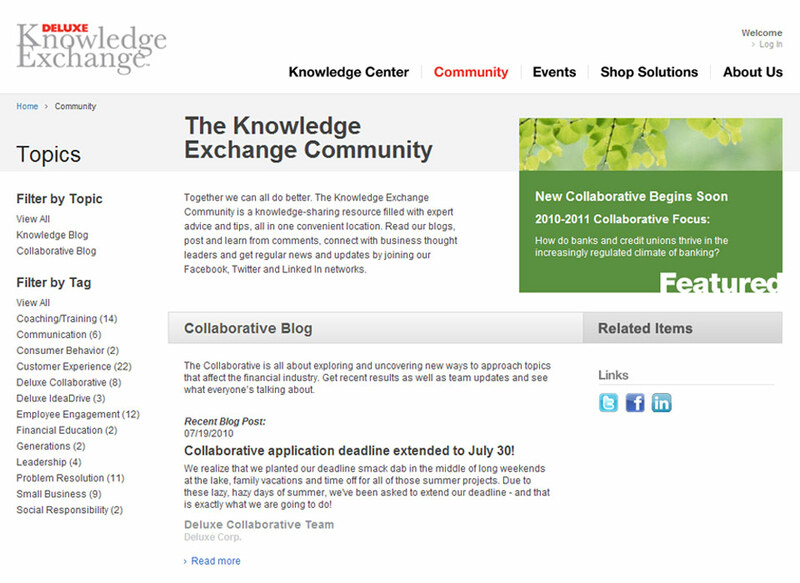 Social media and two new blogs keep the community informed on new ideas, articles and insights while connecting to industry experts. Products can also be purchased on the website. 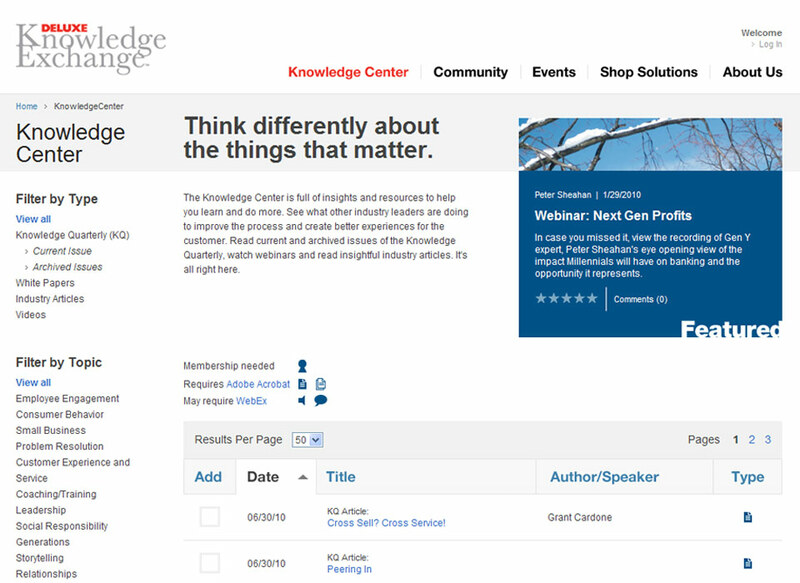 The initial project included a complex integration with Webex – the first integration of its kind.